Well, it’s already July and I’ve been so busy working I haven’t had much time to blog about it. 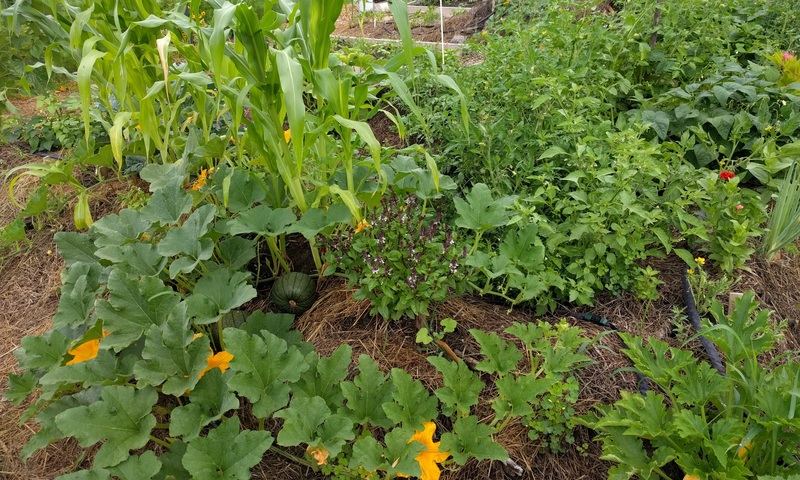 The short story is our gardens are overall doing fairly well, considering it is the first year. 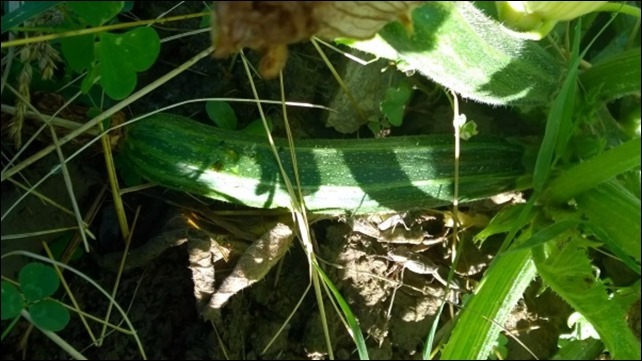 We are certainly fighting weeds, but that happens regardless. The soil structure is definitely better in the front garden, where we dug up a spot that was more hay pasture than lawn. Both need a lot of work, particularly when dry. After a rain though, the soil really isn’t too bad and I think with some tender loving care in a few years we’ll start seeing some pretty good structure. 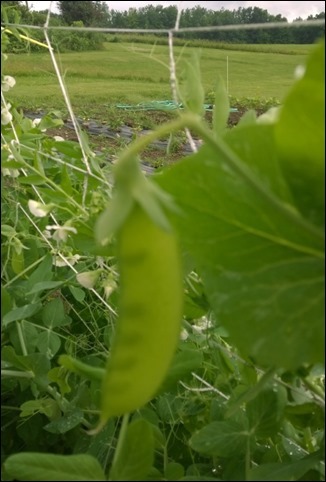 We had a chance to plant more peas this year and focused more on sugar/snap peas, since you get a lot more for the space and they are easier to freeze for later. 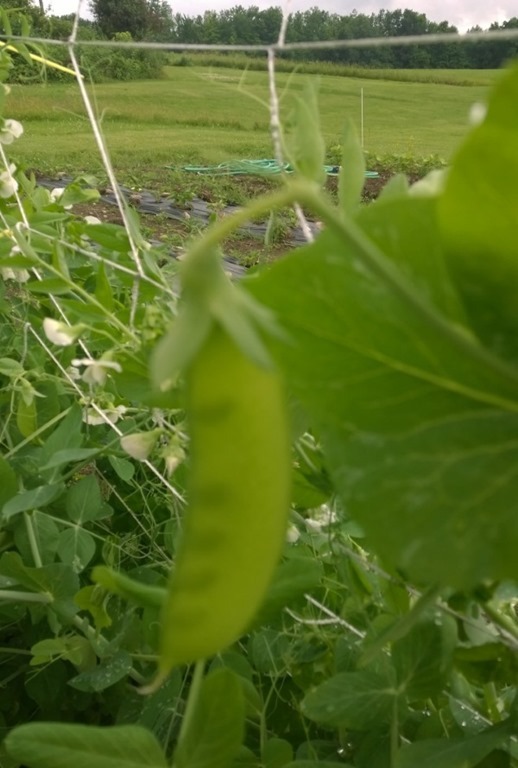 Ezra has taken a big liking to peas, particularly shell peas which he eats raw by the handfuls. On most days he has to go “check his peas” and is actually already doing a pretty good job at learning when they are ripe. It’s pretty cute. It’s been pretty interesting to see the difference having lots of direct sun makes. It’s mostly a good thing, although we had a couple of issues with transplanting where the plants got some sun scald. We’ve always had to worry more about wind or temperature than sun before. The tomatoes I am especially happy with and we’ll see if the actual harvest lives up to the expectation. But this is the first year I’ve been relatively happy with my tomato (and pepper) starts. 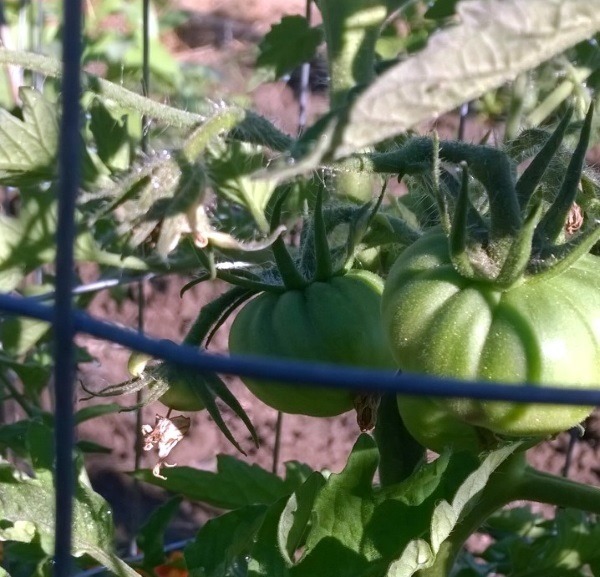 We should start seeing some ripe tomatoes here shortly, there are a bunch off small green ones on the vines. Here are some nice jalapeno plants, with some sweet basil in the background. More peppers, including the “fish” peppers in the foreground. 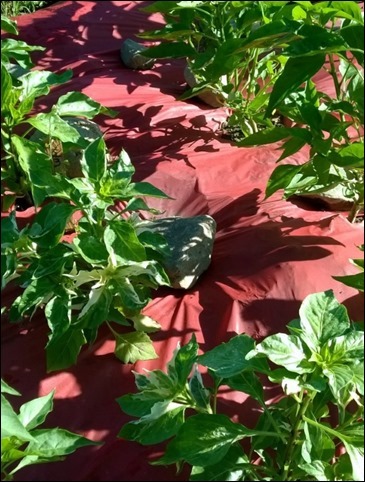 We use red plastic mulch to help reflect more of the good light spectrum that peppers (and tomatoes) love. Still trying to determine how much difference it makes. Potatoes are coming along nicely and we had our first red new potatoes the other night. 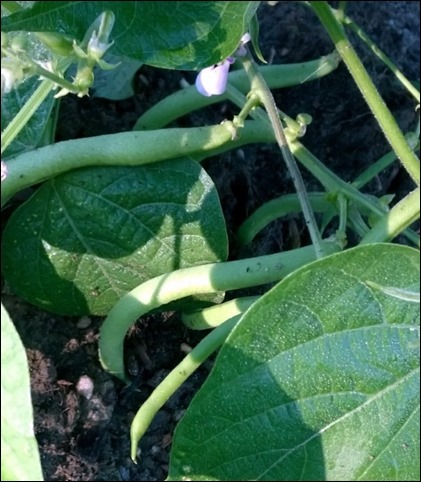 We have a nice variety planted, including several different fingerling varieties. This year we decided to try seed potatoes from Wood Prairie Farm in Maine. 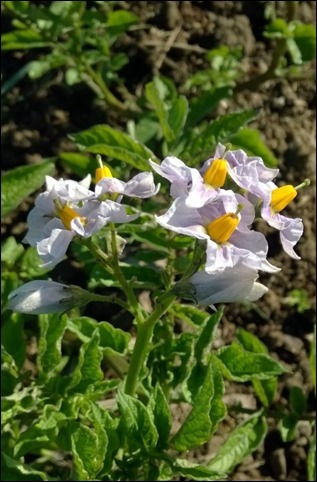 Jim Gerritsen has a reputation as one of the top organic potato experts in the country, so curious to see how these do. I think this may be a hit and miss year, with the soil structure not being super loose the way potatoes like. A lot of folks don’t realize potato blossoms are some of the prettiest flowers you’ll ever see in your garden, check out this fingerling variety in bloom right now. 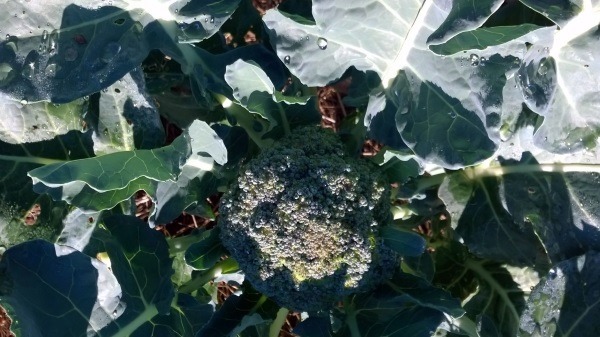 Here are a few other things that are starting to come into harvest. This is the time when all the hard work starts to pay off and you actually see some results from the labor, so I love this time of year. One of our first broccoli crowns. 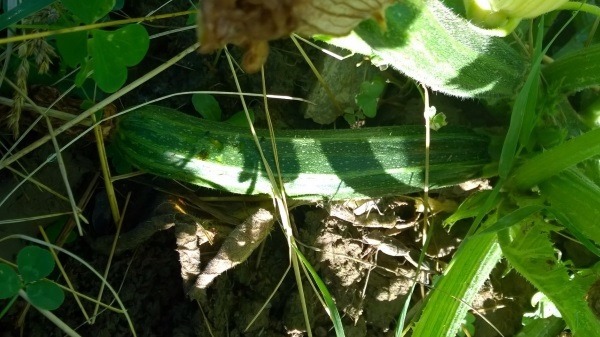 And of course the first of probably too many zucchini.